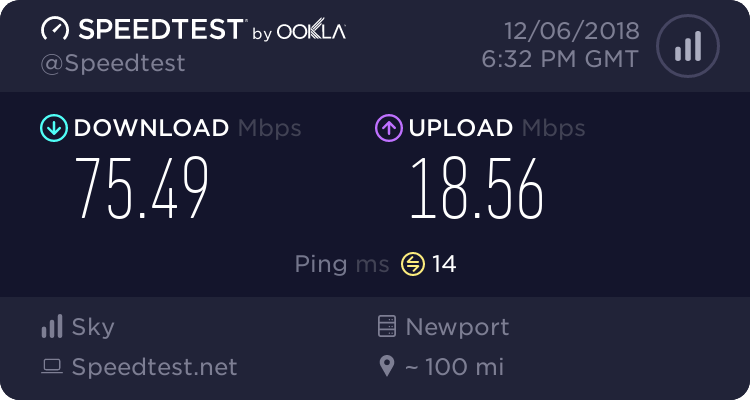 Treble speed again tonight, down from 7mb to 0.6mb. really helpful thread here, stats would help as this is more than likely an issue ur end if it starts fine then goes down - noise margin perhaps? It back to normal now. It seams that every couple of days at about 1am aether the email will play up of the speed will drop, stats are always the same.